Over on Facebook, my friend and colleague, Tim Corcoran, a senior executive with Hubbard One, posted a link to an MSNBC Technolog story about Google+, which stated there was a 60% drop in use after a 1200% surge in users after opening up to the public in mid-September. A MISSED WINDOW OF OPPORTUNITY? WHEN PEOPLE ARE EXCITED, THEY MAKE THE TIME. “People ARE definitely stretching themselves to support the Social that they are involved in, so your statement is on target. The reality, however, is that these tools will come and go, new ones will be developed, and our involvement will continue to grow. We will probably see new tools developed to help people choose, target, economize, find efficiencies, measure, etc., but I don’t see how we will be able to stand still for long. Change and growth in tools will force change in behavior. Resources will have to grow to enable use of appropriate marketing tools….the same issues we’ve been challenged with in marketing for years, right? Don’t get me wrong. I like Google+. I hope it finds a way to thrive because I like the conversation, Google+’s nuances, the amount of content and education that exists there, the ability to “hang out” with people via video from all over the world, and other interesting features. It’s simply that, from my marketing and sales perspective, an initial window of opportunity, when tremendous interest and enthusiasm was present and growing, was missed. I know the service was being perfected because it was still in Beta, or field trial as Google called it, and Google was admirably taking advantage of generous feedback being given by many of us using it from the start. Let this be a lesson to every firm, company and organization out there that has a new, shiny practice, a rockstar addition to add to its staff, a new office or location, or a new book, product or service to offer. Yes, build your marketing plans so that you build momentum in phases, but be careful not to tire your audience before you ever let them have what it is you’ve spent so much time and money planning and building. There are too many other choices and distractions out there. Sure, tease your audiences with announcements if you can get away with it, but watch your timing, exclusivity and messaging closely so you are ready to announce, or launch, when you’ve built enthusiasm to its peak. Don’t miss meeting passion at its peak. Do I know the exact solution for Google at this moment? No, I don’t. There’s no way a marketing or business adviser worth his/her salt could provide an informed solution to any business without further analysis and discussion, which is why I’ve invited you here today. What should Google+ do to continue to build momentum? 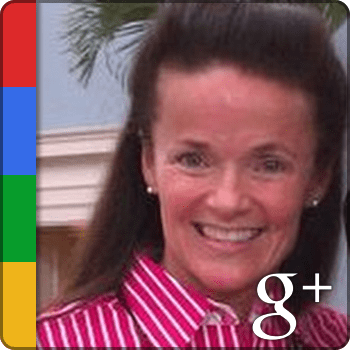 Google Plus: Where Do I Start?